Two emerging trends are transforming the field of Artificial Intelligence. One is the democratisation of general-use Machine and Deep Learning into commodity. Many tech giants provide full-service platforms that allow smaller businesses to use their AI solutions. Secondly, the rise and concentration of the highly specialised drag and drop AI solutions without writing code. Both tools and cloud based API's offer simple ways to integrate AI and create business value. We identified 4 themes in which these solutions have the biggest impact. Data analytics and Prediction AI consists in most cases of Machine Learning algorithms that are not too complex and easy to implement. Used in analysing consumer behaviour and recommending your next favourite song or Netflix series. We will list the best tools in the field that do not require extensive development knowledge. We will highlight the most important ones. Orange is a data mining tool with integrated machine and deep learning models. You can easily sort, analyse and visualise all kinds of data. To dive deeper inside the models and build more custom made models, you'll need some additional coding experience, but it is a pretty easy to use tool! With drag and drop functionality you can run all kinds of regressions and use advanced deep learning functions which can be easily visualised in scatter plots and graphs. DataScience Studio is a free program from Dataiku in which can load your data from many sources in bulk or in real time. 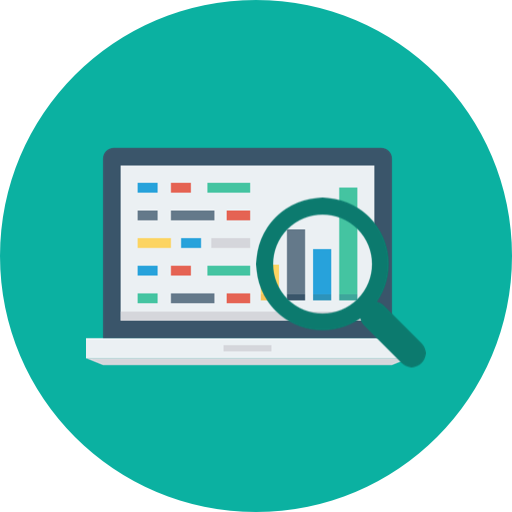 With a build-in data wrangler you can enrich and categorise your data easily to make it ready for analysis. By using easy flow charts you can understand the data analysis and really get to the core of you business. From understanding ideal customer profiles to predicting fraud behaviour, all integrated in real time. Exploratory is similar to the tools above, but with integrated datasets. It's not free, but requires a monthly subscription. Nice documentation for startups. Check it out here. Sherlock ML is a full-service platform with many possibilities. Big ML and Sherlock are close competitors. • This means it's completely free! SparkBeyond is a data prediction tool, combining NLP with ML which leads to great results. • All-in solution enables you to run AI in your entire organisation. The use of computer vision has increased tremendously. Practically every industry is using it. Ranging from analysing images of plane engines in the aviation industry to analysing live video footage of human emotions. All self-driving cars rely heavily on computer vision. All these use cases are build on the idea of the human visual cortex, where different layers of neurons analyse images from small parts to the bigger conceptual context. In AI that is called a neural net, trained with enormous amounts of data to enable Deep Learning. Matroid is a general image/video recognition product. They have different detectors that are pre-trained to recognise people, animals, actions, military or cars. It's easy to use and pricing is based on a monthly subscription. Check it out right here. Artemis 1 is a plug-and-play video recognition for applications 'in the wild' as they call it. Recognise people perfectly with this easy non coding required software. Both available as cloud based and embeddable. Cloud sight is an image recognition API that works super fast and very accurate. With a monthly subscription model that depends on amount of images not on data this can be a perfect match for your user case. Free trial of 500 images available. Affectiva is an awesome MIT spinoff that offers all types of emotion recognition products. It works very easy, you just send your video content to affectiva and receive a full emotion analysis in return. It's also possible to us the service real-time and embed it in your products. Different products have different pricing schemes all customised for your needs. Indico is available as plug and play API, but it's real power is used with custom model training. Sticky is platform for analysing user behaviour with emotion recognition, click data and eye scanning. • Not that hard, but requires eye scanning knowledge etc. Pilot AI only sells custom made products, but they bring computer vision to the edge. Clarifai is one of the best image recognition tools on the market. Although you can use easily deployable features, you can also customise many models for your own needs. Natural language processing is a strongly developed and mature field within AI. For many years thorough research have been done for working with NLP models, even though the techniques are quite old. The recent breakthroughs in the field of Deep Learning has slingshot NLP into a new era with promising results. Recently, many subfields of NLP have undergone major growth and many new products like virtual agents or text analysing software have entered the market. Luckily for us, many of the underlying technology has democratised and is now easily available for SME business implementation. Below we list the most important and applicable tools in two difficulty degrees. Chatbots will be listed separately, because of the enormous amount of available tools. Lexalitics offers Semantria a text and sentiment analyser available on your own hardware, as API and for Excel. The latter two are cloud based and Semantria is also available for mobile. It's use is straightforward and easy to implement. The user cases are varying across many different industries. A super easy summary tool. Summarises your text to make large amounts of data into small amounts. It's an online tool and you payfor usage. Different pricing schemes and an API is possible. Capio is a speech to text translator. Easily let your voice messages be transcribed by Capio. Even noisy audio can be interpreted by the software and Capio keeps on learning from the data it absorbs. Check the advanced analytics from your speech data to create business value. Aivo offers a wide range of customer support AI products. Their flagship is Agentbot, a well-trained customer support chatbot, which is fully integrable with many tools like Salesforce and Slack. It can also be linked with Live, a system that links all channels into one big support group. Aivo also offers Voice based customer support bots. This allows customers to speak to their phones. Other chatbots can Help as a knowledge base/provider. It's relative expensive, but easy and offers good support. Chatfuel is a messenger chatbot builder. It is super easy to use, and not very complex. This also means it cannot be very smart either, there's no learning involved. You have to start from scratch. It is completely free, but if you don't want to build one yourself, you can pay them to build one for you. Flowxo is also a chatbot builder, isn't bound to messenger alone. It can be build once and deployed to many different platforms. It does learn and can also be combined with human chatting. So if the chatbot doesn't know the answer you can quickly jump in to answer for it. The pricing is based on usage and the amount of bots you want to use at the same time. Hu:toma is a chatbot market place. You can buy specific use chatbots from them and other developers. You can also make bots and sell them on the platform. The building of the bots does require some coding knowledge since the bots ar pretty complex. They use deep learning to enhance performance. Most of the bots they sell are actually free. Language understanding and generation is offered in different solutions. Former AI.API is comparable with Wit. It offers less languages. You can create different custom conversation experiences. Cortical offers Retina API, an API that offers super fast language understanding. Custom products like topic detection are also available. Enhanced Dialog Driven Intelligence is platform to create, test and maintain chatbots. The great thing about E.D.D.I is that the complete software is open-source. The first three themes are pretty straightforward and it is relative easy to imagine how they generate business value. Optimisation might be a general term but we choose this definition in order to fit all the other convenient tools under this broader term. For example, AI is used in gaming, which can be seen as optimising the strategy of that game. The tools we listed below are separated in optimisation of personal life and process optimisation. Ada optimises your health in many ways. It monitors and logs all your health issues and diagnoses your diseases. It's available as a free app and you can ask for a real doctor's assessment (in the UK only) for 18 pounds. It can also be used by doctors to assist them in diagnosis. Check it out in the Apple Store or on Google Play. Andy.ai is a virtual tax accountant that optimises and automates your tax strategies. It knows all laws and advices on your financial decisions on a day-to-day basis. It's not yet launched, but if anything can do your taxes, that would be great. Docubot is a legal advicer. Actually as they descibe themselves: [it] is document-generating, legal artificial intelligence technology that gives people access to legal services without having to sit down with a lawyer, or a single human being for that matter. Sentient offers two products: Aware, a shopping experience optimiser and Ascend a conversion optimiser. Wise.io is building machine learning applications for the industrial internet of things. They were recently acquired by GE digital and also build Wise Support Product Suite, which is a customer support AI. 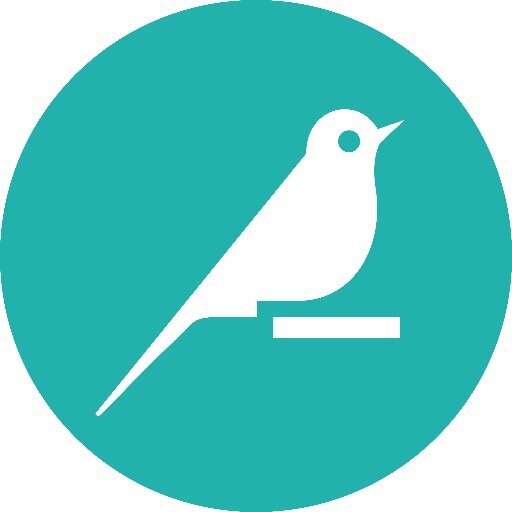 Rainbird is a cognitive reasoning platform, in other words a process optimisation platform. It enables businesses to rapidly automate decision-making tasks and build tools that augment human workers in more complex operations. This is the software that will take over jobs. Napcon does industrial process optimisation on a big scale. They make systems that analyse, improve, train and decide. The big tech companies have been investing heavily in AI and are leading the field. Most of them chose (more or less) the same format to offer their AI as commodity. They do this by offering their products on their own cloud platforms in order to subsequently charge for usage. We will list the products of the three biggest players at this moment: Google, IBM and Microsoft. Amazon is doing a great job too with their new voice assistant Alexa and some cloud based AI products, but we have selected these parties because we believe they cover a nice spectrum of possibilities. Other players like Facebook, Apple, Intel or Salesforce have invested heavily, but their products are less democratised as those of the big three. So in what way do the Big Three differentiate themselves? As you will see below Google, IBM and Microsoft offer products throughout all our different Themes, but what is their main focus and how do they differ? Google is betting big on AI and their Library Tensorflow is super popular. But what about their cloud products? Microsoft Azure offers a wide range of products. So what's their deal? IBM Watson is probably one of the most famous AI organisations around, but what about their product range? We listed the Big 3's AI cloud products per Theme for you. Google Cloud Machine Learning Engine. On this platform you can build machine learning models that cover a broad set of scenarios from building sophisticated regression models to image classification. Google Cloud Job Discovery. Job discovery provides highly intuitive job search that anticipates what job seekers are looking for. Watson Discovery. Unlock hidden value in data to find answers, monitor trends and surface patterns with the world’s most advanced cloud-native insight engine. Watson New Discovery. Explore news and blogs with Watson and find concepts, sentiment, relationships and categories. You can discover new trends and patterns in sentiment. Surface anomalies, key events and embed news alerts into your application and workflows. Azure ML Studio lets you easily design, test, operationalise, and manage predictive analytics solutions in the cloud. This is Microsoft's all in one ML product to build, train, test and run models for your product. Recommendations API. Predict and recommend items your customers want. Google Video Analysis. Google's Cloud Video Intelligence API extracts metadata, identifies key nouns, and annotates the content of a video. Separate signal from noise, by retrieving relevant information by video, shot, or frame. Google Image Analysis. Google's Cloud Vision API enables you to understand the content of images with the power of AI. It quickly classifies images into thousands of categories, detects individual objects and faces within images, and finds and reads printed words contained within images. Watson Visual Recognition. Visual Recognition understands the contents of images. Analyse images for scenes, objects, faces, colours, food, and other subjects that can give you insights into your visual content. Computer Vision API. Extract rich information from images to categorise and process visual data and machine-assisted moderation of images to help curate your services. Face API. Detect, identify, analyse, organise, and tag faces in photos. Emotion API. The Emotion API takes a facial expression in an image as an input, and returns the confidence across a set of emotions for each face in the image, as well as bounding box for the face. If a user has already called the Face API, they can submit the face rectangle as an optional input. Google Speech Recognition. With Google Cloud Speech API you can convert audio to text with neural network models. You can transcribe the text of users dictating to an application’s microphone or enable command-and-control through voice. Google Text Analysis. Google Natural Language API reveals the structure and meaning. You can use it to extract information mentioned in text documents, news articles or blog posts. You can also use it to understand sentiment about your product. Google Translator. Google Cloud Translation API provides a simple programmatic interface for translating an arbitrary string into any supported language. Websites and applications can integrate with Translation API for translation of source text to a target language. Watson chatbot. IBM offers two different products to build or just install self-learning chatbots. The first is Watson Virtual Agent, which is a plug-and-play customer service chatbot. The second is Watson Conversation, a easy but strong chatbot builder. Watson Language Understanding. Advance text analysis powered by Watson. Related products are Language Translator and Natural Language Classifier. Watson Speech. Translate speech into text and vice versa. Watson Empathy. Find personal insights and predict personality characteristics through text. Or use the Tone Analyser to understand emotions in text. Azure Bot Service. A holistic chatbot platform to build an train your own chatbot. Speaker Recognition. Use speech to identify and authenticate individual speakers. Language Intelligence Service. Teach your apps to understand commands from your users. Or use the Translator API to translate any text. Linguistic Analysis. Simplify complex language concepts and parse text with the Linguistic Analysis API. Bing Autosuggest. Give your app intelligent autosuggest options for searches. IBM PowerAI. IBM offers an enterprise platform for AI. The platform requires heavy coding and Machine Learning expertise to be used. Azure Batch AI. Optimise your AI with Batch AI. Focus on your workload, not your infrastructure by leaving resource provisioning and management to Batch AI. The service will deploy virtual machines, containers, and connect your shared storage and configure SSK for login. Knowledge Exploration Service. Enable interactive search experiences over structured data via natural language inputs. to check of your organisation is ready for AI implementation. Machine Learning is a fast-growing trend in the healthcare industry. Thanks to new Health tech devices and sensors patients' health can be monitored in real time. This enables a vast quantity of data available for self-learning models to map the workings of the human body and the individual. Besides the new market of healthy customers, machine learning will further impact the health care industry in a large spectrum of applications. By outperforming human agents in radiology and diagnosis, AI will take a solid position within the Health Care industry. Do our Health Care Readiness Test to check if your organisation is ready for AI implementation! Monitor movement and activities to enable recommendations about physical and mental health. Alert emergency services in case of acute illness. Detect changes in behaviour or mood to report or alert caregivers with camera or biometric sensors. Radiology is already heavily assisted with image recognition. Applications in the above solutions. AI doctors can make accurate diagnoses with the use of enormous amounts of patient data. Find new medicine or causes of disease with extensive data research. This industry overarching solution is also very helpful in the Health Care industry, where human contact is of great importance. Check our Health Care Readiness-test to see if your organisation is ready for AI implementation! This readiness-test is for free, fun, and only takes a few minutes. Or check our Hands-on tools. We all know that the Financial & Insurance industry must change rapidly in the next few years or 'technological newcomers' will easily outrun the large corporations. Costs are mainly driven by the cost for employment and most of the work is done manual and repeats itself often. Please realise that these underlying conditions are perfect for Artificial Intelligence. Already complete hedge funds are run by AI's and credit reviews, high-frequency trading and company valuations are done by computers. Do our Finance Readiness Test to check if your organisation is ready for AI implementation! Highly potential technology to mediate entire credit agreements between parties. rain fraud detection models with enormous amounts of data to increase their accuracy and even predict new ways of fraud. Predicting stock market fluctuations based on millions of data points. Knowing the credit scoring of your customers can minimise risk for credit agencies/banks. Check our Finance Readiness-test to see if your organisation is ready for AI implementation! This readiness-test is for free, fun, and only takes a few minutes. Or check our Hands-on tools. The robotics in the Transportation industry are, unlike other industries, already mature enough for implementation but limited due to political and organisational speed in which transportation organisation are able to change. We see many pilots of AI models and robotics in this industry that outperform and work more efficient then its human counterpart. Accurate video recognition and sensor fusion technology enable self-driving cars to become reality. Predicting traffic and route optimisation can be a great cost minimising investment. Do our Transport Readiness Test to check if your organisation is ready for AI implementation! Trucks, aircrafts, cars, boats are all being automated as we speak. Analysing huge amounts of traffic cameras, on board sensors and camera, traffic can accurately be monitored and predicted. Assisting human drivers in timing and economical driving can be very cost efficient. The dynamic pricing of transport based on real-time traffic and weather conditions. Check our Transport Readiness-test to see if your organisation is ready for AI implementation! This readiness-test is for free, fun, and only takes a few minutes. Or check our Hands-on tools. Machine Learning is a fast-growing trend in the Marketing industry. Especially Artificial Intelligence models that are able to generate leads and reach out towards potential customers. We see single source solutions that allows over 600% profit increase by simply adjusting the right parameters and using the right API's. Besides increasing conversion rates we see new disruptive ML marketing oriented tools that allow businesses to navigate throughout markets in a new agile way of branding and positioning. Video analysis can in real-time analyse customers mode and enhance experience. Amazon Go is a complete autonomous supermarket managed by AI's. Do our Marketing and Retail Readiness Test to check if your organisation is ready for AI implementation! 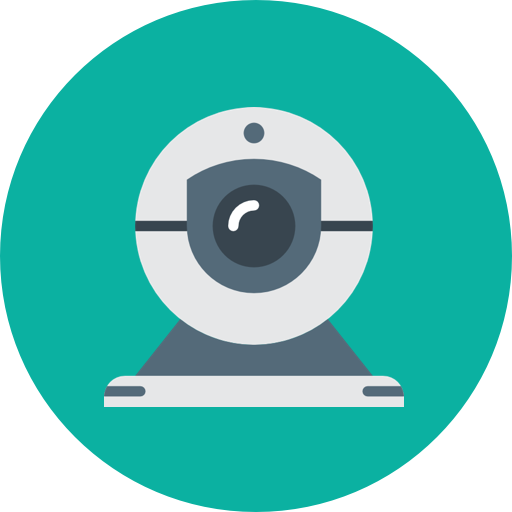 Analyse video data of customers to measure emotional responses giving both feedback and enhancing their experience. The ads market is already governed by AI's, but this will keep evolving optimising the personalised ad delivery. Use automated split-testing to quickly check different variants. Monitor and predict customer churn rates. Customer service, support and sales bots can be used to automate many parts of the retail industry. Check our Marketing Readiness-test to see if your organisation is ready for AI implementation! This readiness-test is for free, fun, and only takes a few minutes. Or check our Hands-on tools. In the Media industry we notice that many of the disruptive Machine Learning solutions are implemented in 'new media channels'. New media channels have the ability for more personal interaction, in which the content delivering becomes increasingly more complex. Perfect conditions for Artificial Intelligence. Today every newsfeed is a combination of many computations and real-time A/B testing headlines. Some articles are even completely written by AI's. Natural Language Processing software can analyse, order and summarise huge amount of content and help journalists to find the best new story. Do our Media Readiness Test to check if your organisation is ready for AI implementation! Analyse what content your readers like the most and personalise their own news feed. Analyse, order and summarise huge amount of content. Bots that explain certain content and adapt to the users background and knowledge level. Analyse the sentiment in all the existing news and derive emotions from text. Check our Media Readiness-test to see if your organisation is ready for AI implementation! This readiness-test is for free, fun, and only takes a few minutes. Or check our Hands-on tools. Information and Communication Technology is an industry embedded in the newest technological progress. AI already plays major roles in communication enhancement, translation and speech to text technology. Big data for informational services create an incredible opportunity for deep learning applications. This is perhaps the industry with most to gain from AI implementations. Chatbots have seen an enormous growth and are changing the communications industry already. Chatbots are used in all the ways you can think of. They radically changed the communications industry and its use is still growing. Using big data to prevent impact from fraud has been very important for prevention and prediction of new ways of fraud. Personalisation of recommendation is one of the best established applications of AI. For Tele service recommendation this is a perfect applications. ith the commoditisation of AI comes new opportunities for IT services. Optimising data flows, analysis and prediction has never been so easy.